One of the most commonly discussed terms today is the API. A lot of people don’t know exactly what an API is. Basically, API stands for Application Programming Interface. It is, as the name says, an interface with which people — developers, users, consumers — can interact with data. You can think of an API as a bartender. You ask the bartender for a drink, and they give you what you wanted. Simple. So why is that a problem? Since the start of the modern web, building APIs has not been as hard as it sounds. But learning and understanding APIs was. Developers form the majority of the people that will use your API to build something or just consume data. So your API should be as clean and as intuitive as possible. A well-designed API is very easy to use and learn. It’s also intuitive, a good point to keep in mind when you’re starting to design your API. To solve these problems, Facebook created GraphQL. Today, I think GraphQL is the best way to build APIs. This article will tell you why you should start to learn it today. In this article, you’re going to learn how GraphQL works. I’m going to show you how to create a very well-designed, efficient, powerful API using GraphQL. You’ve probably already heard about GraphQL, as a lot of people and companies are using it. Since GraphQL is open-source, its community has grown huge. Now, it’s time for you start to learn in practice how GraphQL works and all about its magic. GraphQL is an open-source query language developed by Facebook. It provides us with a more efficient way design, create, and consume our APIs. Basically, it’s the replacement for REST. You write the data that you want, and you get exactly the data that you want. No more over-fetching of information as we are used to with REST. It gives us a single endpoint, no more version 2 or version 3 for the same API. GraphQL is strongly-typed, and with that you can validate a query within the GraphQL type system before execution. It helps us build more powerful APIs. This is a basic introduction to GraphQL — why it’s so powerful and why it’s gaining a lot of popularity these days. If you want to learn more about it, I recommend you to go the GraphQL website and check it out. The main objective in this article is not to learn how to set up a GraphQL server, so we’re not getting deep into that for now. The objective is to learn how GraphQL works in practice, so we’re gonna use a zero-configuration GraphQL server called ☄️ Graphpack. npm will create a package.json file for you, and all the dependencies that you installed and your commands will be there. So now, we’re going to install the only dependency that we’re going to use. ☄️Graphpack lets you create a GraphQL server with zero configuration. Since we’re just starting with GraphQL, this will help us a lot to go on and learn more without getting worried about a server configuration. We’re going to create a folder called src, and it’s going to be the only folder in our entire server. Create a folder called src, after that, inside our folder, we’re going to create three files only. In this schema.graphql file is going to be our entire GraphQL schema. If you don’t know what it is, I’ll explain later — don't worry. This resolvers.js file is going to be the way we provide the instructions for turning a GraphQL operation into data. In this tutorial we’re not using a real-world database. So this db.js file is going to simulate a database, just for learning purposes. You can now go to localhost:4000. This means that we’re ready to go and start writing our first queries, mutations, and subscriptions in GraphQL. You see the GraphQL Playground, a powerful GraphQL IDE for better development workflows. 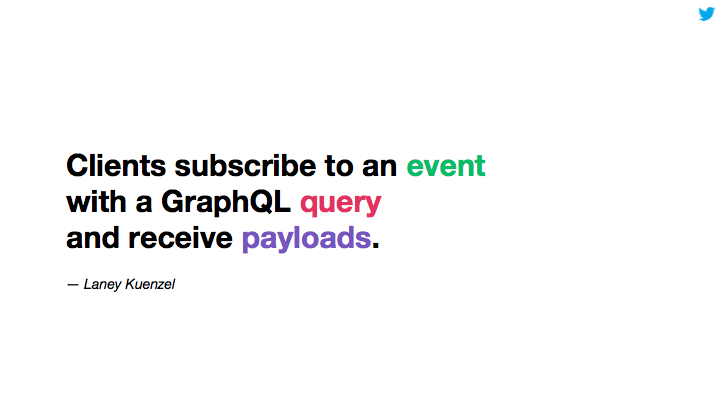 If you want to learn more about GraphQL Playground, click here. GraphQL has its own type of language that’s used to write schemas. This is a human-readable schema syntax called Schema Definition Language (SDL). The SDL will be the same, no matter what technology you’re using — you can use this with any language or framework that you want. This schema language its very helpful because it’s simple to understand what types your API is going to have. You can understand it just by looking right it. Types are one of the most important features of GraphQL. Types are custom objects that represent how your API is going to look. For example, if you’re building a social media application, your API should have types such as Posts, Users, Likes, Groups. Types have fields, and these fields return a specific type of data. For example, we’re going to create a User type, we should have some name, email, and age fields. Type fields can be anything, and always return a type of data as Int, Float, String, Boolean, ID, a List of Object Types, or Custom Objects Types. Each User is going to have an ID, so we gave it an ID type. User is also going to have a name and email, so we gave it a String type, and an age, which we gave an Int type. Pretty simple, right? But, what about those ! at the end of every line? The exclamation point means that the fields are non-nullable, which means that every field must return some data in each query. The only nullable field that we’re going to have in our User type will be age. queries — the way you’re going to get data from the server. mutations — the way you’re going to modify data on the server and get updated data back (create, update, delete). 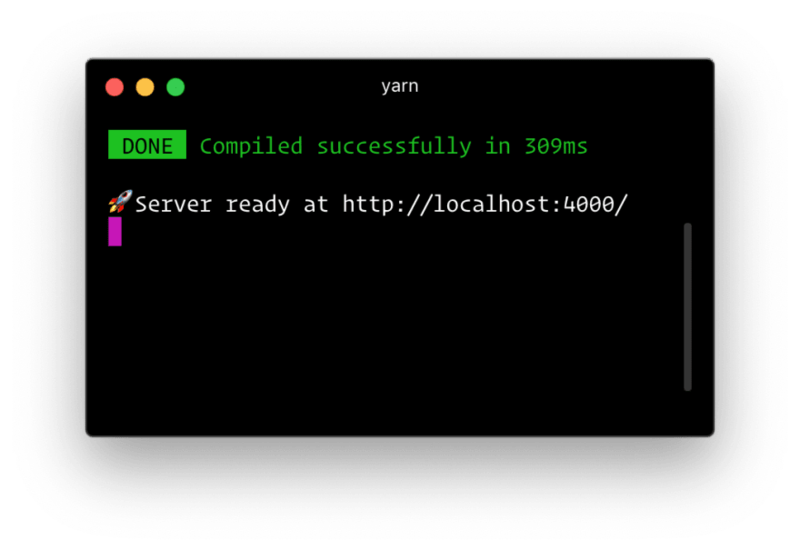 subscriptions — the way you’re going to maintain a real-time connection with the server. I’m going to explain all of them to you. Let’s start with Queries. To explain this in a simple way, queries in GraphQL are how you’re going to get data. One of the most beautiful things about queries in GraphQL is that you are just going to get the exact data that you want. No more, no less. This has a huge positive impact in our API — no more over-fetching or under-fetching information as we had with REST APIs. It’s very simple: the users query will return to us an array of one or more Users. It will not return null, because we put in the !, which means it’s a non-nullable query. It should always return something. As you see, with queries in GraphQL we can also pass arguments. In this case, to query for a specific user, we’re going to pass its ID. But, you may be wondering: how does GraphQL know where get the data? That’s why we should have a resolvers.js file. That file tells GraphQL how and where it's going to fetch the data. Each query resolver has four arguments. In the user function, we’re going to pass id as an argument, and then return the specific user that matches the passed id. Pretty simple. In the users function, we’re just going to return the users array that already exists. It’ll always return to us all of our users. It should return to you all of our users. Now, we’re going to start learning about mutations, one of the most important features in GraphQL. In GraphQL, mutations are the way you’re going to modify data on the server and get updated data back. You can think like the CUD (Create, Update, Delete) of REST . createUser(id: ID!, name: String!, email: String!, age: Int): User! updateUser(id: ID!, name: String, email: String, age: Int): User! createUser: we should pass an ID, name, email, and age. It should return a new user to us. updateUser: we should pass an ID, and a new name, email, or age. It should return a new user to us. deleteUser: we should pass an ID. It should return the deleted user to us. It should return a new user to you. If you want to try making new mutations, I recommend you to try for yourself! Try to delete this same user that you created to see if it’s working fine. Finally, we’re going to start learning about subscriptions, and why they are so powerful. As I said before, subscriptions are the way you’re going to maintain a real-time connection with a server. That means that whenever an event occurs in the server and whenever that event is called, the server will send the corresponding data to the client. By working with subscriptions, you can keep your app updated to the latest changes between different users. You will say it’s very similar to a query, and yes it is. But it works differently. When something is updated in the server, the server will run the GraphQL query specified in the subscription, and send a newly updated result to the client. We’re not going to work with subscriptions in this specific article, but if you want to read more about them click here. As you have seen, GraphQL is a new technology that is really powerful. It gives us real power to build better and well-designed APIs. That’s why I recommend you start to learn it now. For me, it will eventually replace REST. Thanks for reading the article, please give a comment below! 🐦 Follow me on Twitter! ⭐ Follow me on GitHub! I really think that this error came from de db.js, did you uploaded it right? Can you upload this code in someplace? I may be able to help you if you do so. Not sure why the typecheck doesn't work. Perhaps the ID! in schema.graphql is returning a string by default? EDIT: 'ID' type is serialised to String in graphql. So really, the comparison works as expected. If anything, this needs better error handling. The error handling in delete is interesting. REST would dictate that the deletion of a non existant user works (idempotency) and hence that the deleted user cannot be returned. Does GraphQL not have this concept? I don't know if I understood correctly what you mean, but the way I think is, instead you return the deleted user you could return anything like a string saying "User deleted!" or something. I was asking if GraphQL had the REST concept of idempotency (i.e. if you repeat a data-altering operation, then it behaves the same way - hence the 'deleting a deleted user'). Your implementation isn't idempotent, and I was asking if it should have been. Obviously if you delete something that's not there, the only sensible reply is probably 204 - again REST (IIRC) says this is what you should do, GraphQL...? Thanks for the very comprehensible intro to graphQL! deleteUser: we should pass an ID, name, email, and age. It should return a new user to us. It shouldn't return a new user, am I right? And is there a particular reason you want to return the user after deleting it? Oh, my bad. It should return the deleted user to us, just to make sure that the mutation worked fine. Nicely explained Leonardo! Thank you !! Do you have any resources concerning directives? I saw they're extensively used in AWS AppSync and seem really powerful. Yes, why not? I've been thinking to write a series about GraphQL, explaining more deep about Queries, Mutations, and Subscriptions. What do you think? I'll be looking forward for it. deleteUser: we should pass an ID, name, email, and age. It should return the deleted user to us. Typo here. Only the ID is necessary. Hey Leonardo! I was just looking for a comprehensive and good tutorial on the topic. Great writeup, really helped me! Not sure why but for me the strict eq comp operator didn't work but the abstract one did, like they are of different type?! 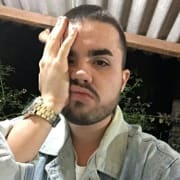 Muito foda cara, parabéns pelo artigo e muito obrigado por uma explicação tão concisa, simples e bem descrita!